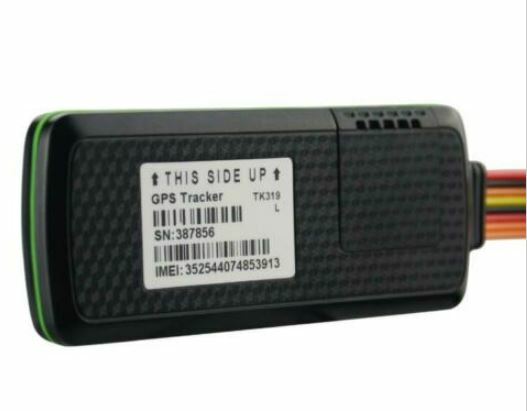 I'm studying and looking closely at GPS trackers that use CAT M1. The 4G tracker I like the look of atm is TK319-L which is available on Aliexpress or Ebay. I want to use the tracker to locate vehicles. I hear CAT M1 has significant advantages in a number of areas including power saving. Also Spark turned on CAT M1 recently. Do I need a special or certain SIM to use CAT M1? or will any 4G SIM do it? Monthly data? Given CAT M1 is very frugal on data is 50mb/month reasonable? I've no proper idea of the answer but I'll need to start somewhere. M2Mone.co.nz have something called a "M2M & IoT Starter kit" for $26+gst, 3 month prepaid with 50mb/month data. Is this the correct service to suit the TK-319-L? Please throw some light onto the situation, discuss or recommend etc.. Thanks. I see Voda recently started supporting CAT M1. Looks like the potential for CAT M1 is huge. The signal can penetrate buildings like never before. It has a theoretical ideal range of 62 miles! I understand it well suits certain tasks like tank level monitoring.. Given that Spark supports CAT M1, I wondered if Skinny subsequently offers the service or doesn't it work that way? They are my ISP/cellphone provider. Spark provides CAT M1 to 98% of the population. Vodafone have taken it a step further with their nb iot, that has some insane penetration, But comes at a cost of massive dip in overall bandwidth. the one thing that seriously bothers me about IoT is it's so heavily corporate marketing. There is one global offer that roams onto VF, i hope they will also pickup spark at some point.. Checked with Skinny, they don't have CAT M1. Another question: would I only need data on the sim and not sms or voice? Depends... What medium does your device work on? Normally if its sms or voice based its utms/GSM. I found these details : The sim card need support A,support SMS GPRS. B,NO pin code,no password,no voice mail box. C,support caller ID display. I notice it requires GPRS... but isn't GPRS only for 2G & 3G? Perhaps it's for when 4G isnt available? I got a response from m2mone.co.nz. Helpful chap. Plan costs seem reasonable. There has been no response from Spark re SIM card availability query. Does the device have RCM certification for NZ? Is such necessary? Am I tied to using their GPS server platform? Apologies for the late reply, we do not restrict ability to use the Cat M1 network by Sim card type. Effectively you could use current Spark SIMs. Cat M1 devices must support 700Mhz (Band 28) to work effectively on our network. In the future 1800MHz (Band 3) and 850MHz (Band 5) will also be ideal. @jaidevp totally forgot you were on the iot side now.. Thanks for the super informative response. Excellent. That's interesting about the current Spark SIMs. B,NO pin code,no password,no voice mail box. Re m2m evaluation starter kit, it appears a nice way to go however the system "favours business". I had thought about marketing GPS to my customers once I got proficient. I have numerous customers running very valuable vehicles. A modest sum for security wouldn't seem like much of an investment. The TK319L meets RCM standard according to information found. Also it supports bands 28, 5 & 3. I found Spark's CAT M1 coverage map. It's very impressive. Also found the instruction manual. Command of English is reasonable. This CAT M1/NB1 has really got me going. I'd like to set up asset monitoring of a number of items at home. Water tank level and home security for instance. Possibilities seem endless. You will only get this on VF. GPRS is a dinosaur. leave it behind. ...does state those 3 things (A,B & C) a SIM need support. Therefore is it a vendor mistake or will the tracker be limited in function? Surely the system will use GPRS or LTE?? So it's irrelevant that Spark doesn't have GPRS because it's not needed? SMS GPRS (using a data call) is a specific method by which a device or modem can use to send/receive SMS. It was poorly implemented / adopted as most handsets and operators stuck with standard SMS. I don’t know if anyone in NZ implemented it - Spark certainly didn’t. The device should support standard SMS (which will get configured via the SIM), but you’d need to verify with the manufacturer that this is the case. Unless of course your not interested in SMS functionality in which case it’s not relevant.